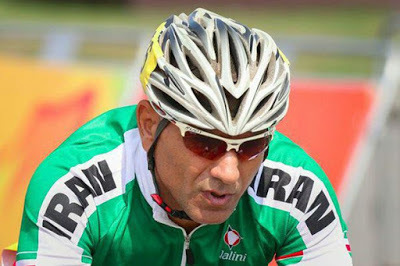 Cyclist Bahman Golbarnezhad was the first athlete to die at a Paralympics games it has been confirmed. The athlete died following a crash in the men's C4/C5 road race at the Rio Paralympics , it was confirmed on Saturday. During a press conference, IPC president Sir Philip Craven: "I've just had it confirmed by Craig Spence (director of communications) that this is the first athlete death at a Paralympic Games. "We will look into the report of this incident and decide what we need to do to prevent this from happening in the future." Golbarnezhad, from Shiraz, was treated at the scene of the accident before being taken to a local hospital. The IPC said Golbarnezhad’s family in Iran have been notified and his Iranian team-mates were told as a group in the Athlete Village. A moment of silence will be held during tomorrow's closing ceremony for the Games, while the Iran Flag is flying at half-mast in the Paralympic Village. The Paralympic flag has also been lowered in the Paralympic Village and at Rio Centro, the venue where Iran will contest the sitting volleyball final against Bosnia and Herzegovina on Sunday.